Discovering New Brunswick is an engaging, full-colour excursion through New Brunswick's uniquely beautiful landscapes. 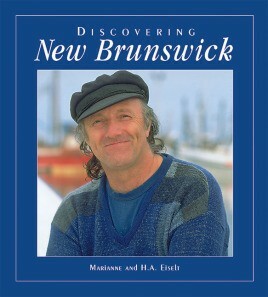 In Discovering New Brunswick, travel writers Marianne and H.A. Eiselt celebrate the natural landscape, the fine architectural heritage, towns and villages, festivals and events that bring New Brunswick's communities together each year. This full colour souvenir book covers all four corners of the province, examining their geography, people and history. Highlights include Hopewell Rocks, the Saint John Market, St Andrews-by-the-Sea, the St. Stephen's Chocolate Festival, the Miramichi Irish Festival, and the Sussex Balloon festival. Full colour photographs accompany the descriptive text that follows the main tourist routes as shown on provincial maps. Discovering New Brunswick is an engaging excursion through New Brunswick's uniquely beautiful landscapes.